Everyone loves an underdog, especially when he or she must overcome personal shortcomings to find success. 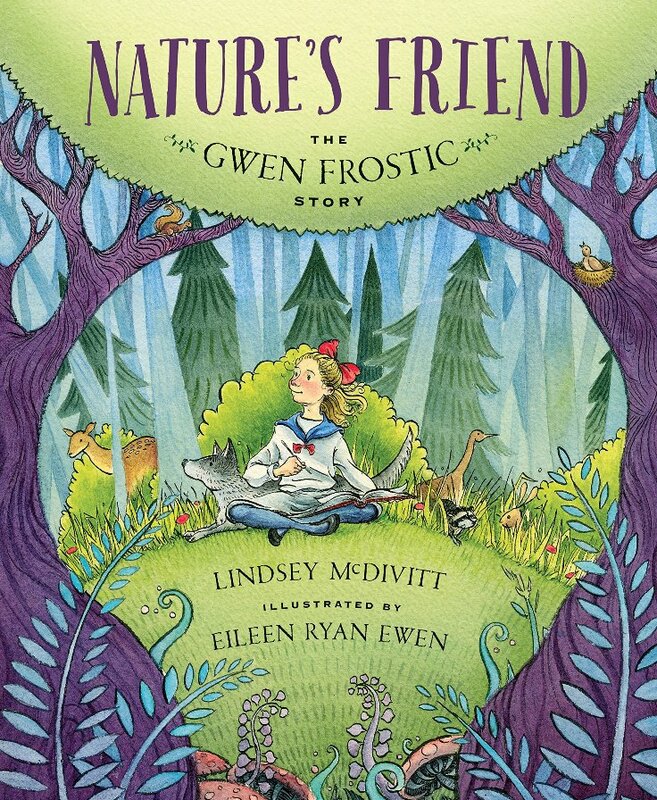 Author Lindsey McDivitt’s newest picture book, Nature’s Friend: The Gwen Frostic Story, tells the story of one such underdog who goes on to find amazing success. The book opens to the story of a spunky girl named Gwen Frostic whose childhood illness leaves her hands weakened, her speech slurred, and one foot dragging behind her. Although her physical challenges do not deter Gwen at home (she attempts to follow her siblings everywhere they go), going off to school is another story. It’s 1906, a time when children with disabilities don’t usually go to school; they hide from prying eyes. But Gwen’s mother insists she can do anything she puts her mind to and she sends Gwen to school to learn with the other children. Although it’s not easy, Gwen learns to ignore the giggles and the whispers and pushes herself to be the best she can be. With her mother’s help, Gwen strengthens her hands by clutching a pencil and drawing what she sees. She eventually becomes very good at art, and even starts a business making artistic copper vases. Her work becomes so well-known that she is invited to send it to the World’s Fair of New York. Gwen engages in a variety of other activities, including designing tools for building airplanes during World War II. But her first love is spending time in nature, because she says “It treats me equally.” Gwen’s nature drawings are so beautiful that people flock from all around the world to visit her art and nature shop in the forest. Nature’s Friend is a quiet book about an unsung life that is worth learning about. The prose is a bit wordy for very young children, but it is also touching and inspirational, convincing the readers that any shortcomings in life can be overcome with patience and determination. Ms. McDivitt devotes ample time to explaining what young Gwen Frostic’s “disabilities” were, how they made her feel, how she accommodated and overcame them, and how she (and other so-called disabled persons) desired to be treated: not as an invalid, but an equal. 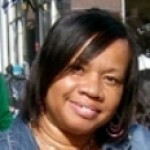 Gwen’s mother says, “Gwen doesn’t need your help.” These few firm and fiercely independent words serve as a signal to young readers that not only does “Mama know best”…but just because a person has a shortcoming or a disability does not mean s/he is waiting around for someone else to solve his/her problems. S/he can do it herself! 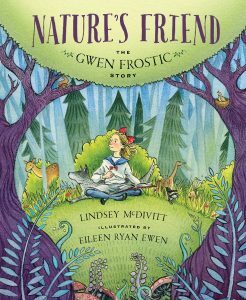 Artist Eileen Ryan Ewen helps tell Ms. Frostic’s story in a steady progression of evolving illustrations. With each page turn, readers see detailed illustrations of a determined heroine struggling to keep up with her siblings, braving the bullies and teasers at school, and doggedly forcing her weak hands to clutch her pencil and do what her brain demands they do. Ms. Ryan aptly captures determination, drive, and ultimately, triumph, in every illustration. This is an inspirational book about personal courage and inner dreams that finally come true after years of self-discipline. It can be used as part of a self-improvement or self-awareness curriculum, or as part of a vocational or future occupations program. It might be suggested as supplemental reading for young artists and nature enthusiasts. 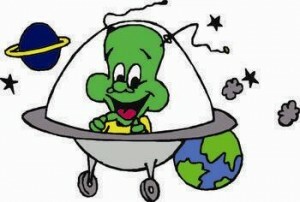 It may also be the perfect gift for a young girl or boy with physical challenges who needs a hero to spur them on.